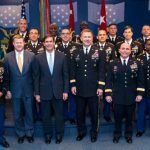 WASHINGTON (May 6, 2015) – An independent survey confirms the prevalence of sexual assault in the military has dropped, Defense Department officials recently said. Statistics in the 2014 RAND Military Workplace Study show the percentage of active-duty women who experienced unwanted sexual contact during the past year declined from 6.1 percent in 2012 to an estimated 4.3 percent in 2014. For active-duty men, the estimated prevalence rate dropped from 1.2 percent in 2012 to 0.9 percent in 2014. Based on these rates, an estimated 18,900 Service members experienced unwanted sexual contact in 2014, down from around 26,000 in 2012. Army Maj. Gen. Jeffrey J. Snow, director of the DOD Sexual Assault Prevention and Response Office, said the statistics also show a correlation between sexual harassment and sexual assault and give more information about the difference between men and women with regard to sexual assault. “We have suspected this, but this gives us a level of granularity that will be helpful in addressing this as we move forward,” Snow said. And that is an overall message Snow said he wants to get across: there is no silver bullet for sexual assault prevention and response. Overcoming this crime will take time, effort, knowledge and persistence, he said. 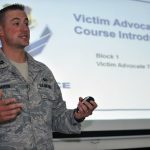 The statistics show nearly 40 percent of women, who are victims of the crime come forward, but only about 10 percent of men report – so because the military is 85 percent men, there are more male victims of sexual assault than female victims in the military in terms of sheer numbers. Snow said the survey statistics will allow his office to target programs toward male victims and improve the care victims receive. On sexual harassment, the survey shows a clear correlation between harassment and assault, the general said. “In an environment that is perhaps permissive of sexual harassment or gender discrimination, women and men … are at greater risk of sexual assault,” he said, adding that this suggests more effort may be needed at addressing sexual harassment. The RAND Military Workplace Study confirmed previous military studies of sexual assault, Snow said. Linking this statistic with the increase in reporting, Snow said he sees the military closing the gap. “I’m encouraged about the dialogue going on about the crime,” he said. During a Dec. 4 Pentagon news conference on the results of the Defense Department’s annual report on sexual assault, Snow emphasized that although the crime had become less prevalent in the military, the battle is far from won. Leaders get it, the general said, but first-line supervisors need still need to work on their skills. 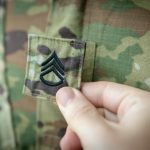 Junior non-commissioned officers and junior officers – those most in contact with the at-risk population – need more training, and they will get it, he said. Last year, victims made 4,660 unrestricted reports and 1,840 initial restricted reports of sexual assault. 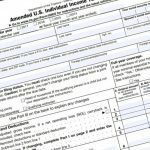 Victims can convert their restricted reports to unrestricted, and last year 20 percent did so. This was up from 15 percent in years past. The survey shows victims were satisfied with their decision. About 72 percent of victims, who responded to the survey, indicated that they reported their sexual assault and would make the same decision if they had to do it over again. Further, 73 percent of respondents would recommend that others report the crime.